2018 GOVERNORS AWARDS: LADY GAGA, LUPITA NYONG’O AND EMMA STONE LIGHT UP THE RED CARPET AS CICELY TYSON MAKES HISTORY! Lady Gaga, Rosamund Pike, Lupita Nyong’o, Emma Stone, Emily Blunt and Lily Collins lit up the red carpet at the Academy of Motion Picture Arts and Sciences’ 10th annual Governors Awards, held at The Ray Dolby Ballroom at Hollywood & Highland Center on November 18, 2018. Gaga brought the drama in Valentino while Nyong’o dazzled in a white Tom Ford number. Pike was metallic perfection in Givenchy while Emma Stone slipped into Louis Vuitton for the occasion. 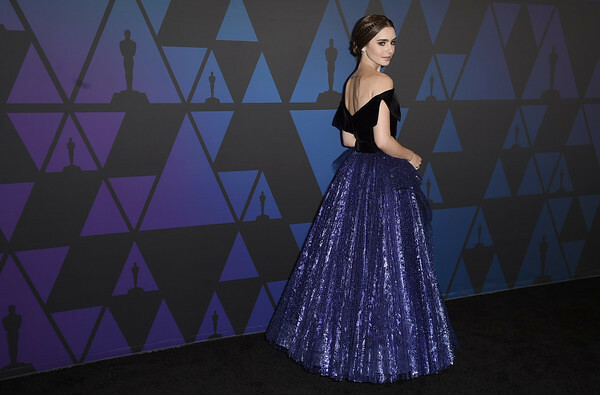 British star Emily Blunt made it date night with husband John Krasinski, choosing a gold Dundas ensemble while Lily Collins was the belle of the ball in a Goerges Chakra gown. Honorary Oscars were given to actress Cicely Tyson, producers Kathleen Kennedy and Frank Marshall, composer Lalo Schifrin and publicist Marvin Levy. Tyson made history on the night as the first black actress to receive an honorary Oscar.